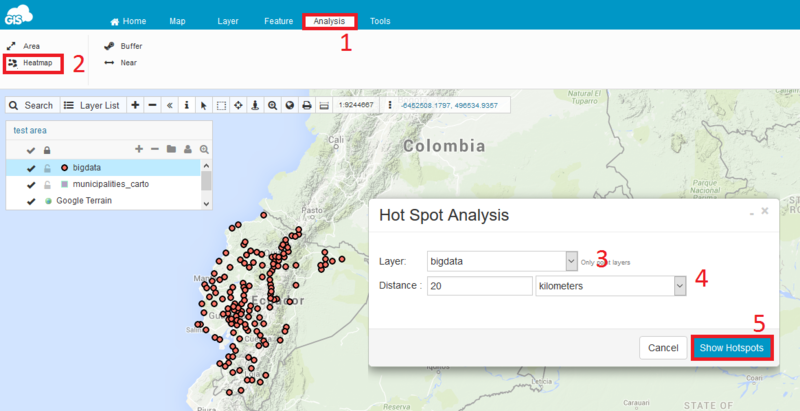 Heatmap analysis is a graphical representation of data that visualizes the density of points in a layer. 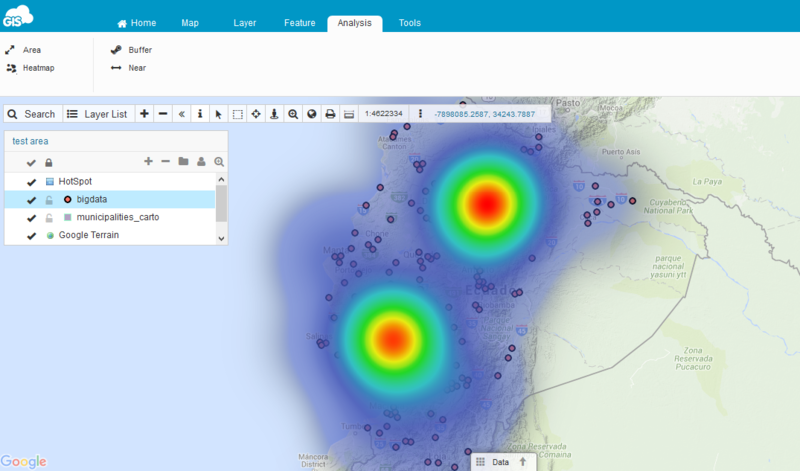 It is possible to perform Heatmap analysis on the point layers that reside in File System or in the Database. Set minimum distance between points taken into consideration to calculate density. Select Show hotspots to see the results.